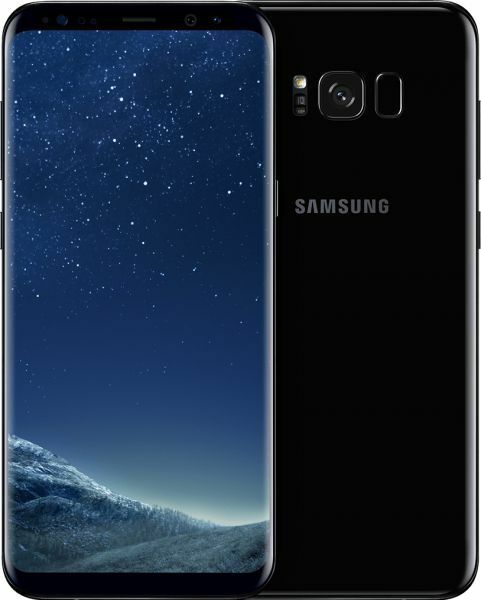 Samsung Galaxy S8 Plus features a large 6.2inch, boundaryless display. This Samsung Galaxy 4G mobile loads every app quicker with its 4GB RAM. The Samsung Galaxy S8 Plus is a highly innovative, smart, and genius creation. It is equipped with the world's first 10nm processor that responds to your searches and clicks and offers you a benchmark shattering performance. The 4GB RAM provides much needed support to the CPU, boosting it at the right moments when you switch between multiple tasks or open a demanding app. The look of the device catches your attention and holds it there for a while. This beautiful mobile strikes a chord with lovers of beauty and elegance with its smooth patterned back, attractive curves, and rich black shade. It's no border design makes the super large 6.2inch screen look bigger and immersive. The Samsung Galaxy S8 Plus puts you right in the middle of the action that's happening on its screen. It features an infinity display that is frameless, making the screen look bigger than it is for that fully engaging and immersive view. With no more restrictions in multitasking and fewer scroll downs, you’ll realize what a brilliant creation you have in your hand. Despite the big size, the phone surprisingly feels smaller and adjusts to the palm of your hand seamlessly, allowing comfortable one hand use. The screen measures 6.2inch and displays crisp, vivid, sharp content at a resolution of 1440 x 2960 pixels. The Samsung Galaxy 4G mobile outshines the competition with its world's first 10nm processor. This powerful CPU plus 4GB RAM removes all restrictions while opening or running some of the most resource intensive apps and gaming titles. The combo also improves the battery performance, making it run longer than its normal expectancy. It features Android 7.0 Nougat OS and the intelligent Bixby, which offer a new and fun way to interact with your phone. The Samsung Galaxy Single SIM mobile has 3500mAh battery with fast charging feature for blazing fast power up without the hassles of wire. This Samsung Galaxy S8 smartphone gives even some of the most advanced digital cameras a run for their money. It features 12MP rear camera with OIS, dual pixel sensor, and large f/1.7 aperture. It illuminates the dark background and brings out hidden details, making your clicks as perfect as they would be during the day. With its 8MP front camera with f/1.7 autofocus, you know your portraits are going to turn out just beautiful. You can go on clicking as many photos and videos as you like, and the 64GB internal storage will make sure you never get a message saying 'not enough space. Really beautiful hand set. Good design , I think it's better than iphone if you want to pay less than I phone. Brand new but not for this region. Still happy with the purchase. Except that it was of an other region, everything else was perfect about this phone.